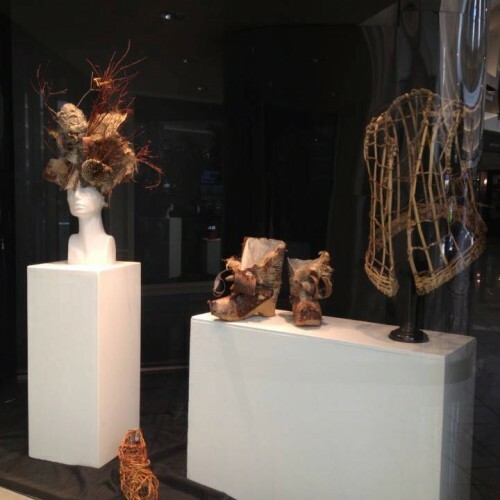 StoreFront, objects of desire was an installation at the Lansdowne Shopping Center in Richmond BC that blurred the line between consumer culture and art by displaying ephemeral objects in a retail window setting. 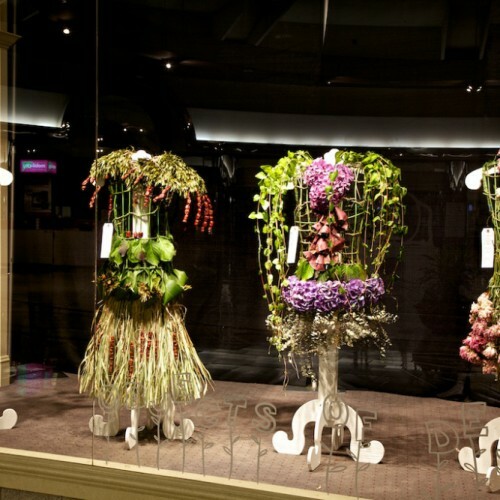 Here dresses made from live flowers and shoes made of leaves are presented on mannequins as if for sale. By presenting simulated fashion articles within an existent shopping experience the viewer was confronted with having to negotiate the space between desire and ownership. 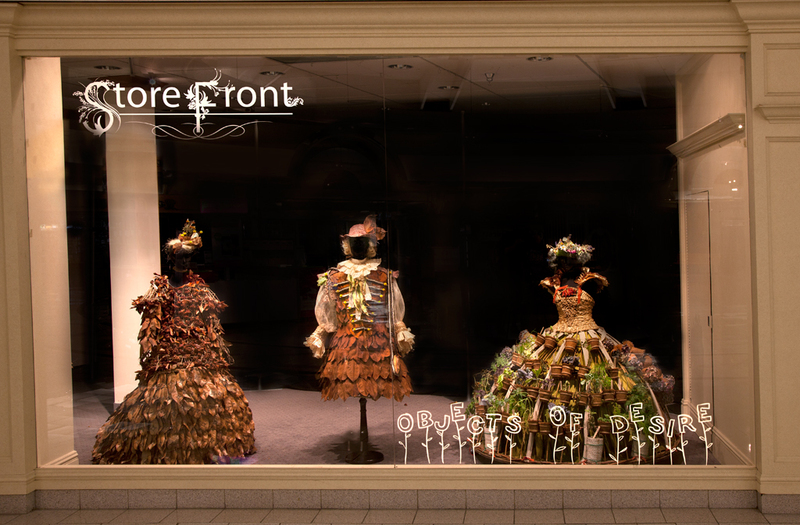 I was on site at the mall periodically preening and adding new elements to the window displays. There were also public interventions in the shopping centre on weekends: The Mobile Garden Dress made a salad and shared it with the public, Sir William the Explorer went looking for gold and timber in the mall and Madame Nicole came out of her nearly 30 year retirement to do Extra D’Extras MakeOvers with shoppers. 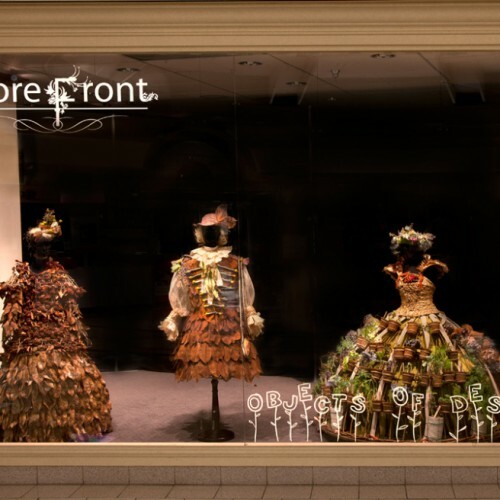 This project was presented as part of the inaugural artist residency at the Lansdowne Shopping Centre and supported by the City of Richmond’s Public Art Program. SF window with Little Green Dresses. 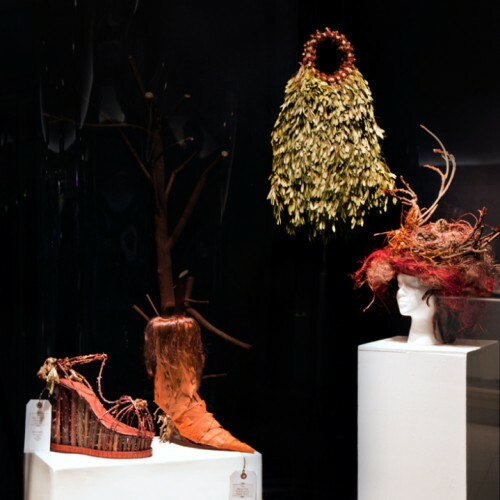 Birch Shoes, Headdress, and armature in side windows. 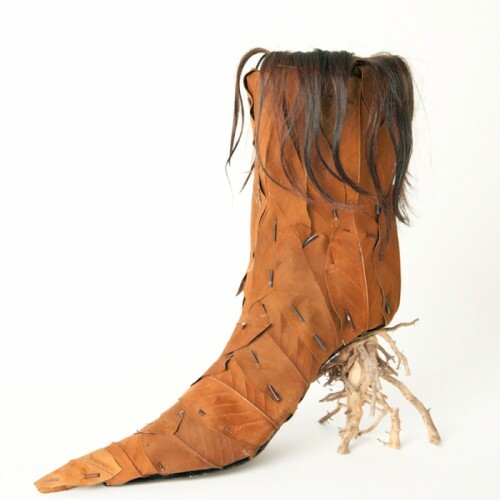 The Magnolia Pubescence Ankle Boot: Magnolia Leaves, thorns, root and hair. 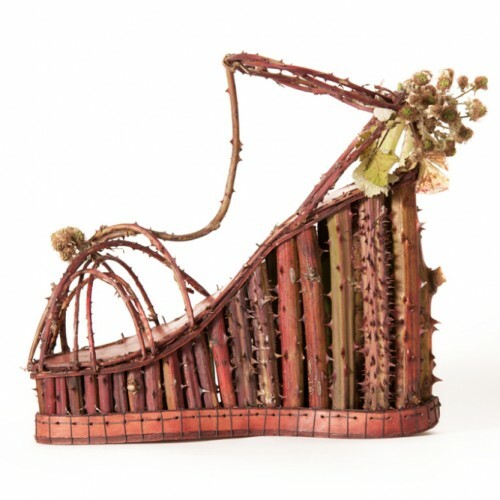 The Blackberry Platform Sandal: Blackberry vines, leather, Linen thread, thorns. 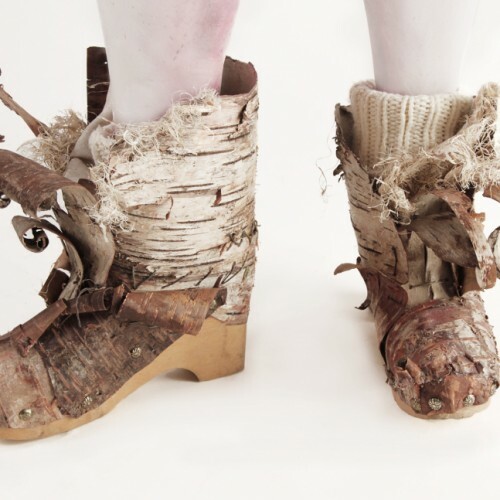 Birch Boots: Various barks, wooden Clog sole, paper, linen, wax thread and thumb tacks. 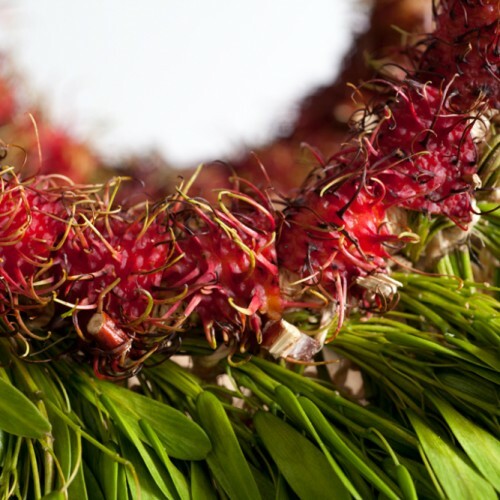 The Ash and Lychee Carry Bag: Ash Keys, Lychee skins, thorns, sisal. 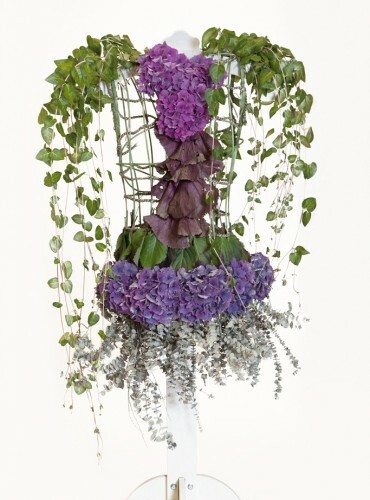 The Flared Eucalyptus Dress: Hydrangea flowers and leaves, purple Ligularia leaves and vines from my garden. 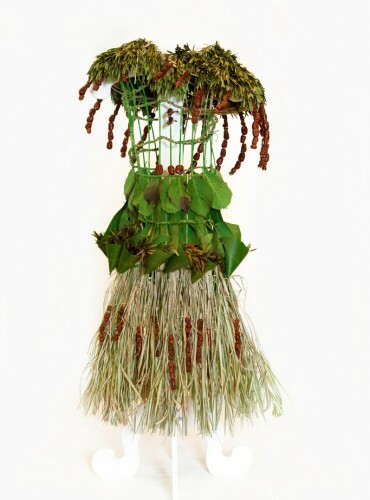 The Eucalyptus leaves were scavenged from a florist’s left overs. 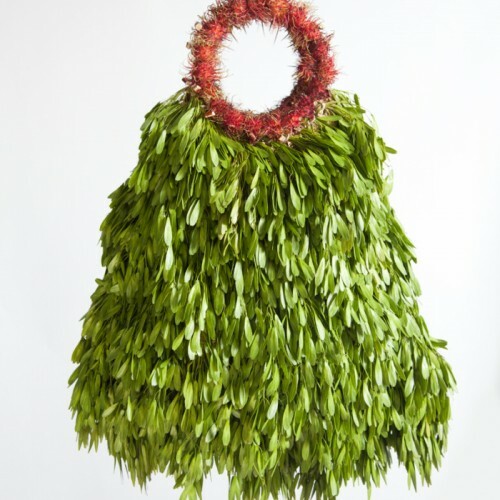 The Ash Key Ruff Dress: Ash Keys, Red Dates. 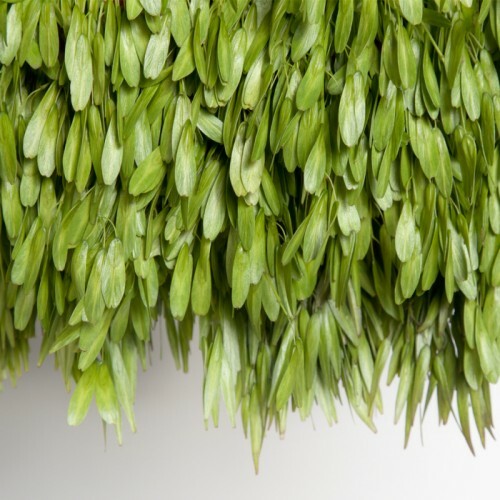 Hydragena leaves, Ti leaves and varigated grass. 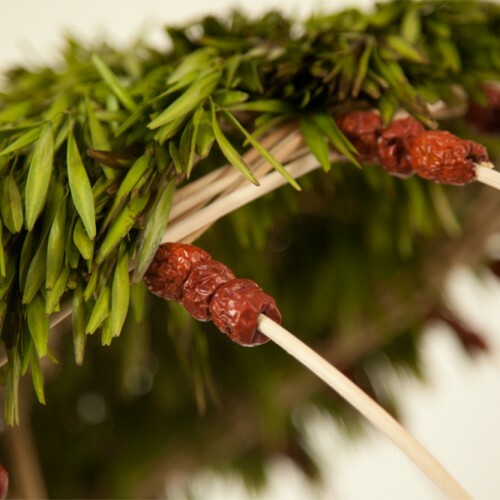 Close up of Ash Keys and Dates on a reed frame. 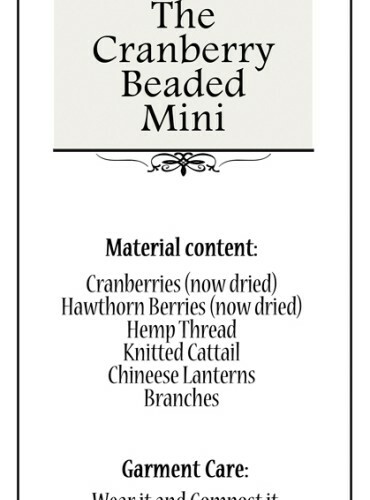 Each item in the window had a tag which listed the title and materials used.